Taxonomy Podcasting adds custom podcast settings and podcast feed support to specific WordPress taxonomy terms. Similar to the Category Podcasting feature, Taxonomy Podcasting allows you to associate a custom podcast feed to a taxonomy term. Note: Because of the complexity of Taxonomy Podcasting, the podcast subscribe sidebar widget and subscribe links are currently not supported. Who is Taxonomy Podcasting for? If your theme or plugin uses the register_taxonomy function, Taxonomy Podcasting could be for you. Podcasters wishing to create custom podcast feeds using the default WordPress “category” taxonomy, please enable Category Podcasting instead. Post categories are very popular; their taxonomy has exclusive management in PowerPress. Taxonomies that wish to utilize Taxonomy Podcasting should register their taxonomy register_taxonomy with the following attributes. Without this setting, there will be no permalink version of the taxonomy term’s feed. Also, if a custom post type is used the following attributes will also need to be applied during the register_post_type function call. Please see the Post Type Podcasting page for requirement details. Many WordPress users and developers may not be aware that categories and tags are taxonomies in WordPress. “Post Categories” is a taxonomy that PowerPress supports out of the box with an exclusive menu. All other taxonomies (other than post categories) must be managed under the PowerPress “Taxonomy Podcasting” section. Before you continue with the following example, please make sure you have enabled “Taxonomy Podcasting” in PowerPress Advanced Options and also have created at least one post tag to test with and associated that tag with a blog post with an episode specified. Go to the Taxonomy Podcasting menu. Select Taxonomy, select “post_tag” then press the Select Taxonomy Term button. Press the “Add podcast settings to Term” button. 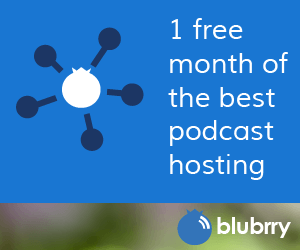 You can now enter custom podcast settings for this specific taxonomy term. You have now successfully created a podcast for the post tag taxonomy for the selected term. Any item you now tag with that term will be added to this podcast feed. Need More Help with Taxonomy Podcasting? Because of this feature’s complexity, support for this feature is only available on our public forum or by scheduling a paid Blubrry Consultation with our support staff.